Stop Right Here! 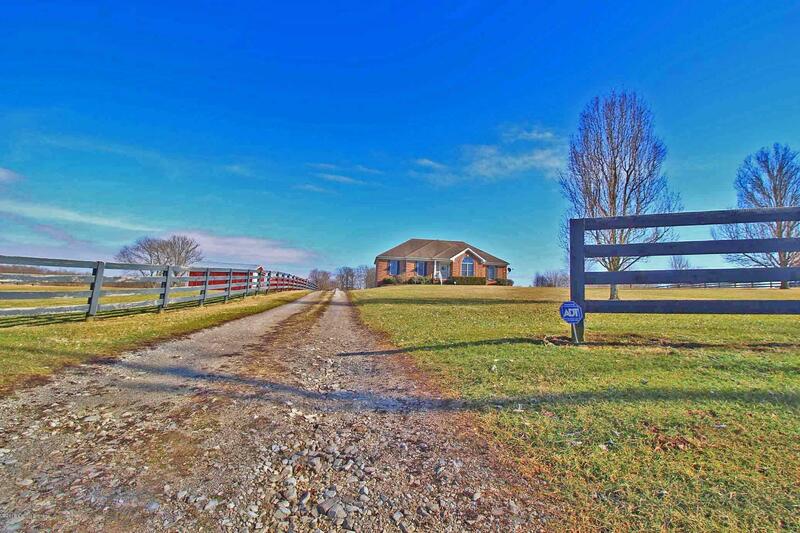 Check out this Amazing 3000+ sf Home on 5.9 Acres fenced for Horses! The 1st floor features an Entry Foyer, a Large Great Room w/fp and Vaulted ceilings, a Spacious kitchen, Breakfast Area, Formal Dining Room and Formal Living Room. Down the Hallway is a Large Master Bedroom suite with tray ceilings and a beautiful Master bath with a Huge walk-in closet. Down the hall are 2 additional spare bedrooms and a 2nd Full Bath. The lower level features a large Family room with playroom, a Rec Room, a 4th Bedroom, a 3rd Full Bath, a Laundry Room and Huge 2 1/2 Car Garage. Exterior features include a front porch, a Deck, a patio, a 25X30 Barn with Stalls and 5.9 Beautiful Acres with 4 Board Fencing! Just minutes to I-64 Exit 32. Call NOW for your Private Viewing!